FREE CANCELLATION COVER AND NO BOOKING FEE. Up to EXTRA 70% OFF - Only through this email. Book Online Today & Save. With over 8 years experience, airport parking specialists AirportParkingMarket.com have built a airport parking website packed full of the best parking deals available at the UK’s airports. With huge savings of up to 70% when you book online. 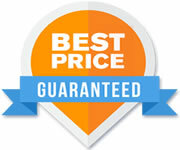 The bonus of booking your airport parking through AirportParkingMarket.com is that you can also be sure that you will be paying the cheapest possible price.